The BlackBerry Z10, Research In Motion’s (or “BlackBerry,” as the company would like to call itself from here on in) supposed bid for a market resurrection, is seeing its release date of March 2013 coming closer and closer. Numerous units, however – equipped with the new BB 10 OS no less – have already made their way to various app developers and gadget reviewers and any news pertaining to the phone is pretty much verifiable already. 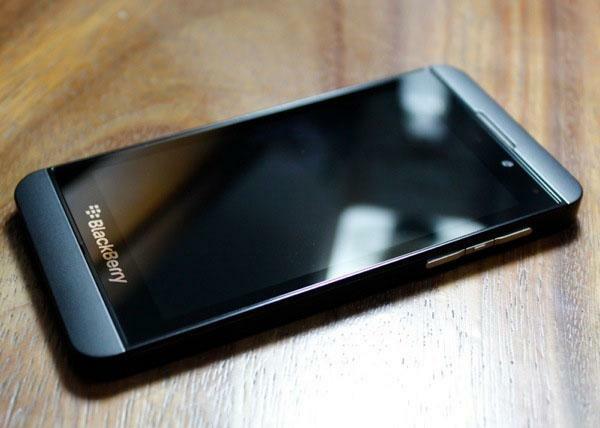 The question, of course, is: Is the BlackBerry Z10 truly BlackBerry’s savior? The BlackBerry Z10 will be going up against a slew of other popular smartphones, some of which are legitimate threats, while others are best left to specific customer preferences. In order of release, we have the Samsung Galaxy S III, the Apple iPhone 5, the Nokia Lumia 920, and the Google (or LG, depending on how you want to look at it) Nexus 4. Despite being released first (or maybe because of it), the Galaxy S III has enjoyed quite the sales surge, becoming the fastest-selling gadget in history. More importantly though, it has been every bit the critical darling it set out to be, and more. It was actually heralded as a legitimate “iPhone killer,” which would have stricken anyone as impossible just a couple of years ago. The Galaxy S III has a fast dual-core processor and 2 GB of RAM, and also comes equipped with 4G LTE/HSPA+ connectivity and the Android Ice Cream Sandwich OS (upgradeable to the latest Jelly Bean). The phone does have its flaws, namely a screen that may be rather dim for some consumers’ tastes, and the S Voice feature that can’t quite compare to Apple’s Siri. Overall though, the flaws aren’t too debilitating. Not going down without a fight, the iPhone 5’s release two months later saw positive reviews as well. Customer preference over other smartphone brands aside, the iPhone 5 has been touted as everything an iPhone should be. That distinction, along with the Apple brand name itself, was more than enough to make the iPhone 5 stay strong in the smartphone market. Among its many improved features is a long-clamored-for larger screen. While its 4 inches falls a bit short of the above-4 sizes of its competitors, it does have the Retina Display feature that gives high-resolution clarity. The most significant upgrade, however, has to be the A6X chip. Aside from cutting the load times of even the most resource-hungry apps in half, it’s instrumental in bringing the iPhone 5’s high-res display to the forefront. Also, Siri is still the best there is at what she does. Like BlackBerry, Nokia was once one of the major players in the mobile phone industry, although it has since seen its light fade. With the release of the Lumia 920, though, Nokia is hoping to regain their footing in the consumers’ consciousness. The company teamed up with another former player in the smartphone world, Microsoft, to give us a product that showcases Windows 8’s capabilities. It would seem that the partnership is working out great so far, despite the phone being on the market for only a couple of months so far. The Lumia 920’s construction is sturdy, and the OS used to run it is great as well; although it takes some getting used to, and most current users who have been weaned on Android may hesitate to immediately jump ship to a smartphone OS that hasn’t been thoroughly put through its paces yet. And of course, being that this is a Windows phone, expect a lower number of available apps (and fewer quality apps) compared to Android and the iOS. Regardless of whether the device was manufactured by HTC, Samsung, or LG, Google holds the product branding for the Nexus line of gadgets because these products are supposed to be the epitome of Android-based electronics. If this is the case, then it would seem that Google lowered its standards somewhat. The Nexus 4, its latest smartphone, isn’t a bad product per se, but it isn’t exactly remarkable either. It’s just solid all around, with nothing much to really entice consumers to go for it if they had a choice. And just to add insult to injury, the phone isn’t even equipped with 4G LTE connectivity. Where does BlackBerry’s comeback bid fit in all this? Does the BlackBerry Z10 have what it takes to impress, or will it be like that one kid who gets to be on a team only because the coach insists? 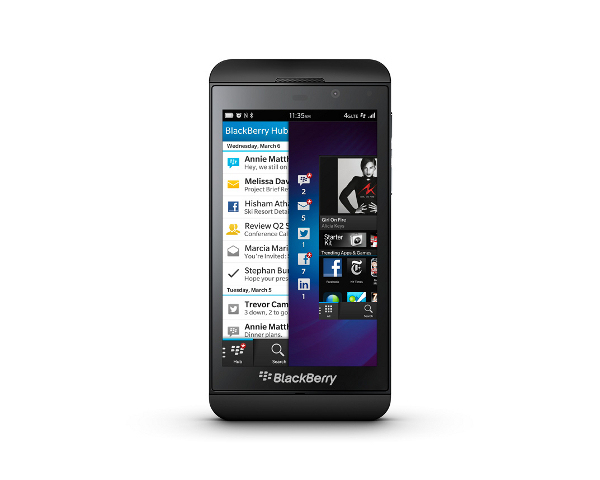 The BlackBerry Z10 is powered by a 1.5 GHz dual-core Qualcomm S4 CPU, 2 GB of RAM, and 16 GB of storage space. Its 4.2 inch screen is capable of displaying 1280 x 768 pixels at 356 ppi, which puts it in contention with the iPhone’s Retina Display. It has a rear camera that can record 1080p videos and capture 8 MP photos, and a front camera that does 720p and 2 MP. Finally, it is also enabled for 4G LTE/HSPA+ connectivity. When BlackBerry announced that it would be coming back to the fray ready to embrace the ground rules of the new playing field, no one thought that it’d be to this extent. Looking at the BlackBerry Z10, the build is strikingly similar to arguably the most popular smartphone right now, the iPhone 5. In fact, from afar one would be forgiven for mistaking the Z10 for a black iPhone. The BB 10 OS running the gadget is anything but an iOS clone, though. In fact, much like Windows 8, there’s a certain learning curve to conquer when navigating through the OS’s menus. However, it isn’t something that can’t become second nature with enough practice. BlackBerry phones have long been known for their physical (and excellent) keyboards, but the company’s subsequent attempts at a virtual keyboard have been less than noteworthy, mostly due to the fact that previous BlackBerry apps weren’t optimized with virtual keys in mind. Fortunately, with the new OS come new app programming requirements. Since the BB10 has been built from the ground up with a virtual keyboard in mind, the newer apps are more responsive to input from said keyboard. Speaking of the BB 10’s virtual keyboard, many gadget critics agree that it’s probably the best one yet. It features smart autotype suggestions on-the-fly; and more importantly, the way it implements these suggestions is more user-friendly and unintrusive. Finally, a rather impressive feature on the BlackBerry Z10 is the time-shift photography function. In a nutshell, it takes continuous frames of any given shot, among which the user has the capability to choose the best single shot. In other words, even if your friend blinked at the exact same time that you took the picture, the BlackBerry Z10 also automatically gets a few frames before and after that aforementioned moment, allowing you to choose a shot where your friend’s eyes are still open. With all the mentioned specs and features, though, it should still be said that overall, the BlackBerry Z10 doesn’t have that one “x-factor” that would convince consumers to jump ship from their preferred phone. Simply stated, if you’re a fan of BlackBerry, then you should be more than happy with all the improvements that the company has brought to their latest product. However, if you’re still satisfied with your current phone brand, the BlackBerry Z10 won’t really convince you otherwise. All in all, BlackBerry has brought forward a smartphone that probably plugged the hole in their sinking ship. However, they’ll need to put a bit more effort into their marketing strategies if they want to stay afloat. How do you think the BlackBerry Z10 compares with the iPhone, Galaxy SIII, Nexus 4 and Lumia 920? Let us know in the comments below.